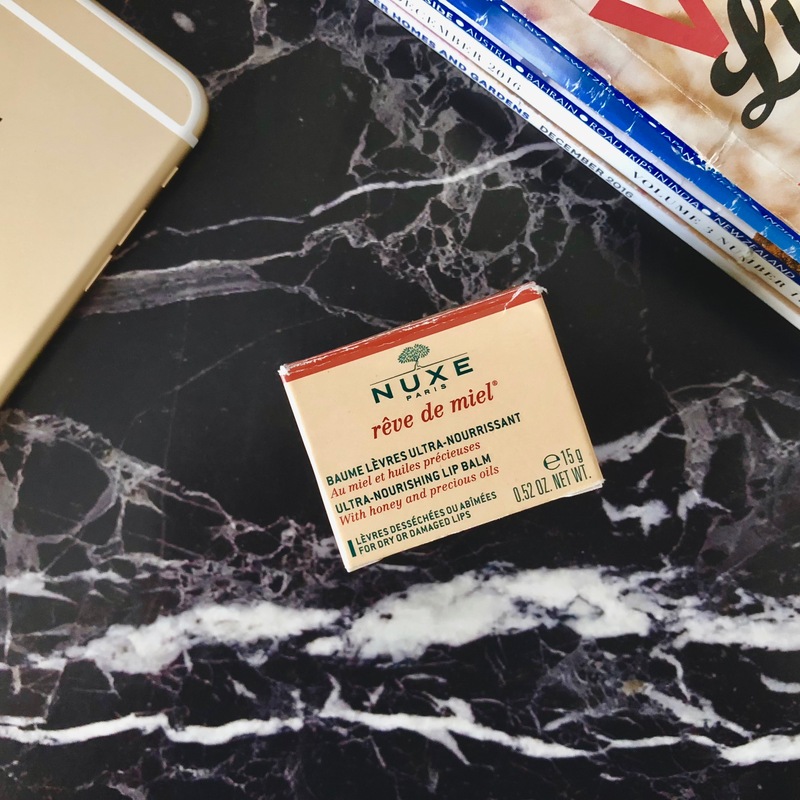 NUXE Rêve De Miel Ultra-Nourishing Lip Balm | Love It or Hate It? 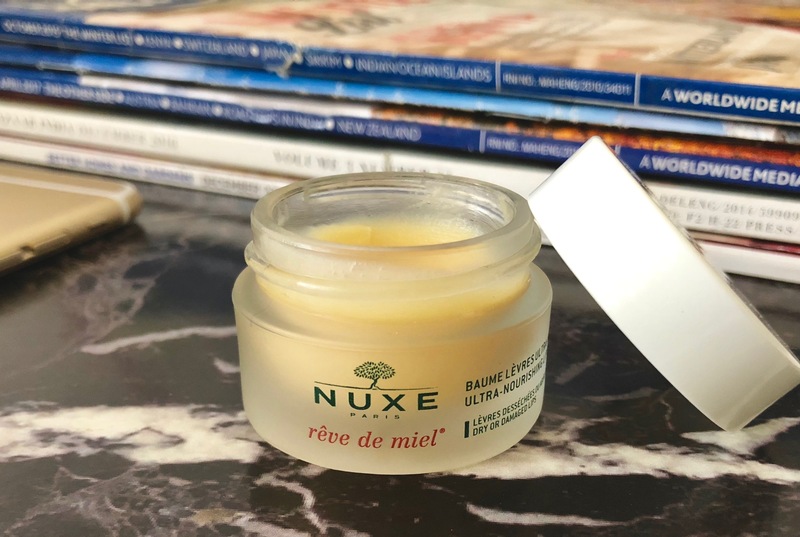 Ever since I started using French Pharmacie skincare I was so intrigued by the Nuxe Rêve De Miel range, especially the Lip Balm that came in a glass pot. 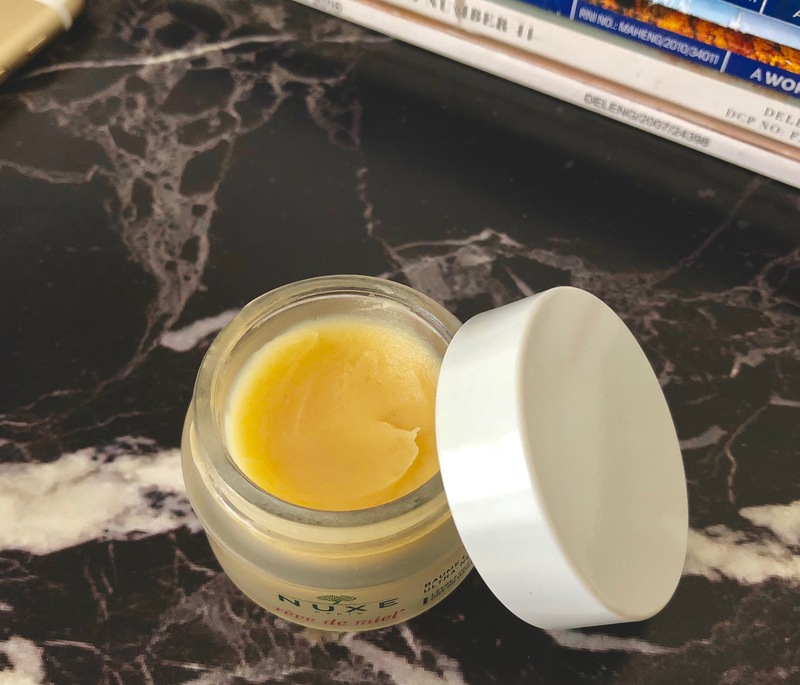 It seemed to be the most popular lip balm with bloggers and YouTubers alike, so when I spotted a NUXE counter on my recent trip to Munich, the Rêve De Miel Ultra-Nourishing Lip Balm was the first item that went in my cart! My lips are quite dry and so I keep them slathered with lip balm all day. 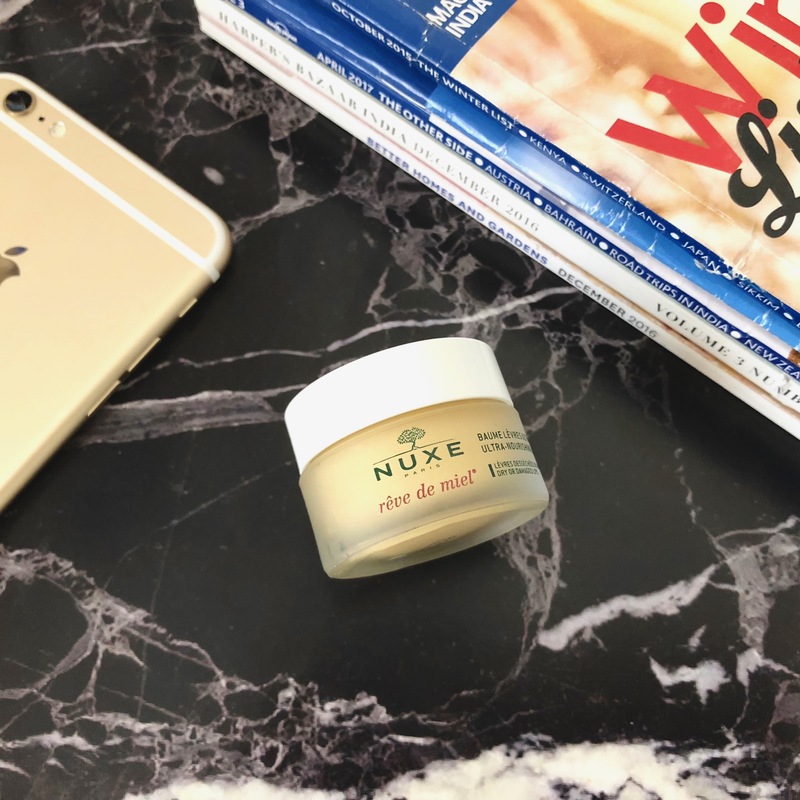 Now I’m quite a picky person when it comes to lip balms…I’ve tried hundreds and love only one – The Nivea Lip Butter… so needless to say the Nuxe Lip Balm had to live up to some serious standards and expectations! 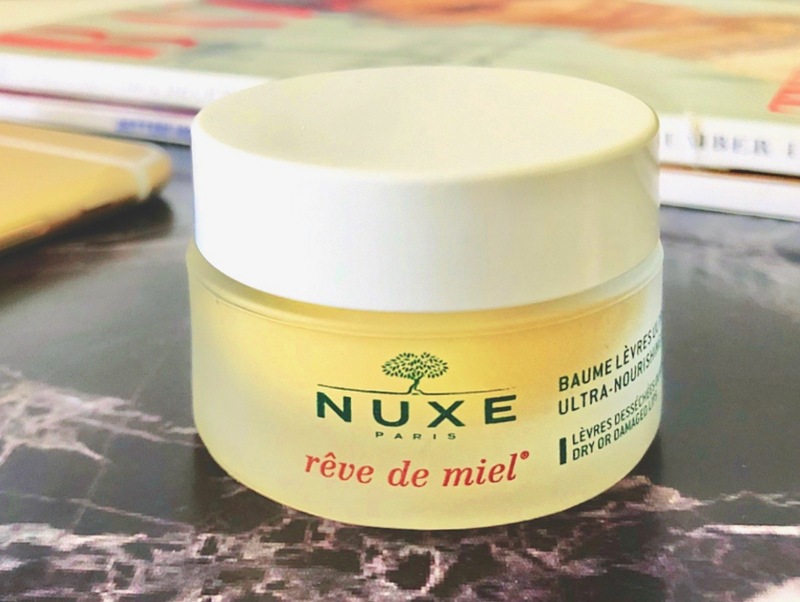 The Nuxe Rêve De Miel Ultra-Nourishing lip balm comes in a glass pot that contains 15 gm of product. It costs about €13 (Rs. 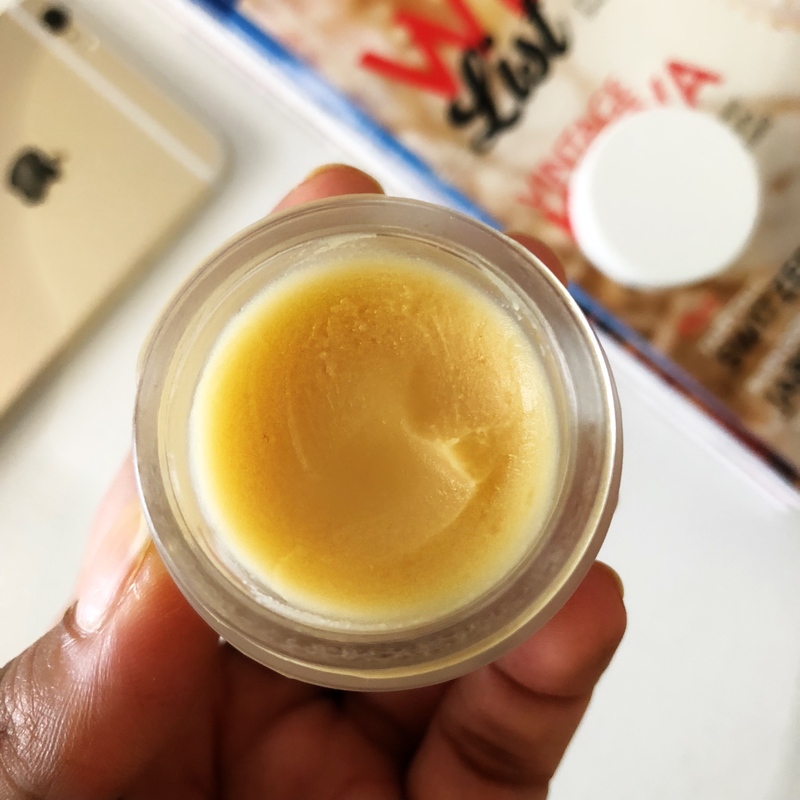 1000/-) and I know that might seem like a very steep price to pay for a lip balm, but if you love it, it is going to be the product that will be the answer to all your dry/chapped lip issues. Wrap your skin with the healing power of honey. Acacia Honey 5%, Shea Butter 13%, Plant Oils (Chilean Rose, Sweet Almond) 9.5%, Grapefruit Essence 2.5%, Vitamin E 1%. Beeswax, Shea Butter 13%, Vegetable Oil, Lecithin, Behenoxy Dimethicone, Sweet Almond Oil 8.5%, Honey 5%, Dimethicone, Octinoxate, Grapefruit Oil, Caprylic/Capric Triglyceride, Hydrogenated Vegetable Oil, Soybean Oil, Rosa Moschata Oil, Tocopheryl Acetate, Tocopherol, Allantoin, Lemon Oil, Candelilla Wax, Calendula Extract. 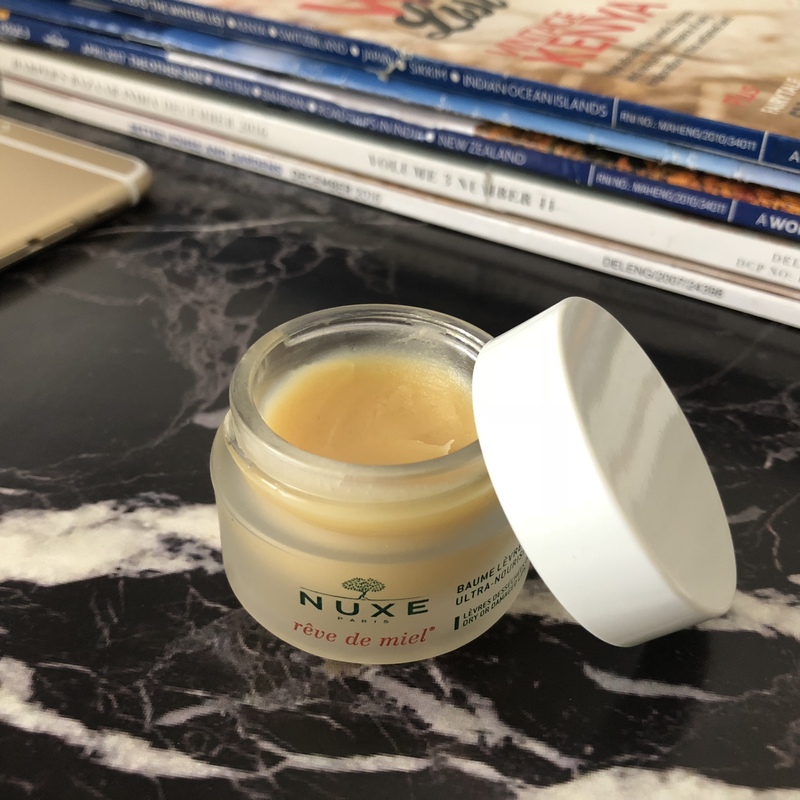 Honestly, for me, the Nuxe Reve De Miel was unlike any other lip butter or lip balm that I have ever tried. The very first thing I noticed was how thick and buttery the texture is. The consistency is such that it has no bounce or oily slickness to it whatsoever…also it has no shine or gloss. 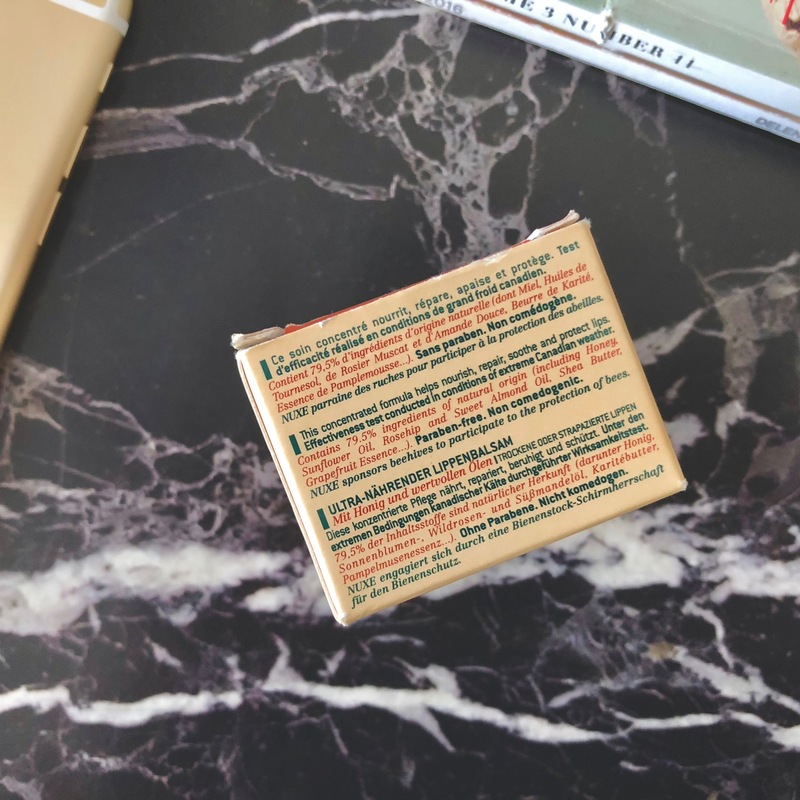 It is, in fact, a very grainy texture balm that is completely matte, making it perfect for layering under lipsticks. You only need the tiniest amount of it because if you apply too much, it will end up collecting and bunching up around your mouth. Moving on, is it the miracle worker I was expecting it to be…Do I Love It or Hate It?